This all-aluminum Ladder Rack serves as a solid base rack by itself and can be upgraded to a Lock Down or Rotation/Side Access Rack at some time down the road. With a load capacity of 500 lbs. 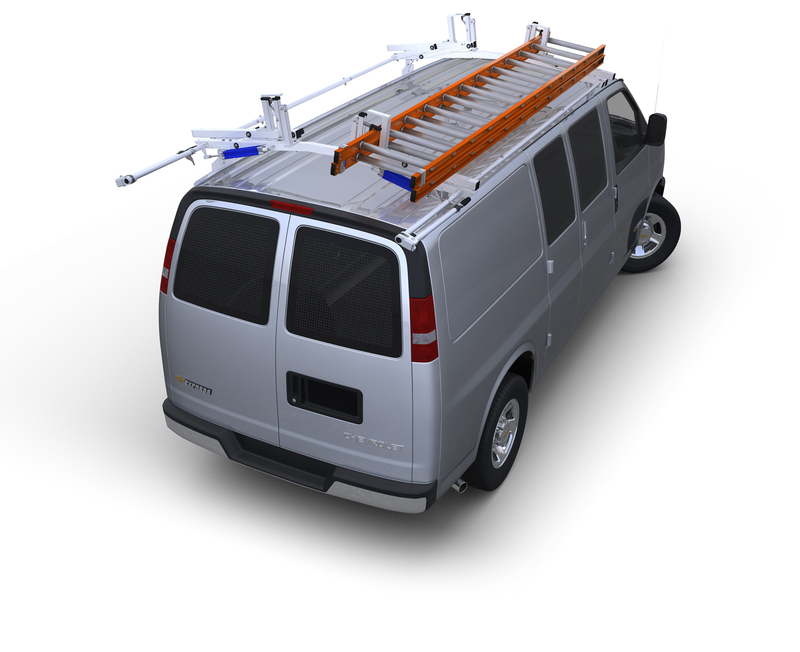 this rust free rack will easily handle ladders and most long cargo.